Kids shouldn’t be the only age who gets to play and have fun! At American Family Fitness, we believe that you should be able to still play your favorite games and sports no matter how old you are. 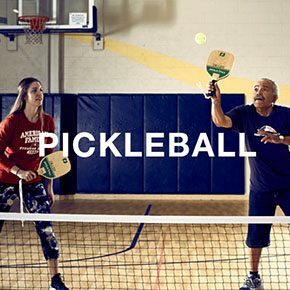 Get back into the game with the pickleball league at American Family Fitness in Glen Allen. You can show everyone that you still have skills, and the exciting action and friendly atmosphere will keep you coming back for more. 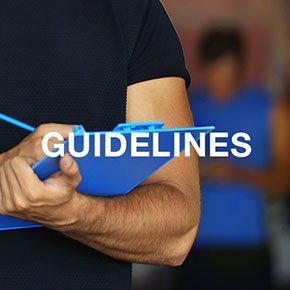 Improve your health and fitness by playing a game you love. The pickleball league at our gym in Glen Allen offers members the choice to play as doubles or singles. The server may only hit from behind the baseline on one side of the centerline and only the serving side is able to score a point. The first side to score 11 points wins! 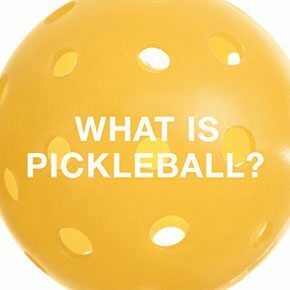 Pickleball is a an action packed sport that combines tennis, badminton, and ping-pong. Use a paddle and play as double or singles. It's fast and it's fun! Are you ready to smash your way to new heights? Reignite your love for the game with the state-of-the-art pickleball courts at our Glen Allen gym. With constant action and non-stop fun, you'll swing your way to better fitness.